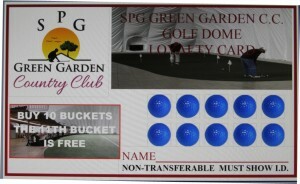 We appreciate your business and loyalty to SPG Green Garden Country Club and want to reward you for your patronage. 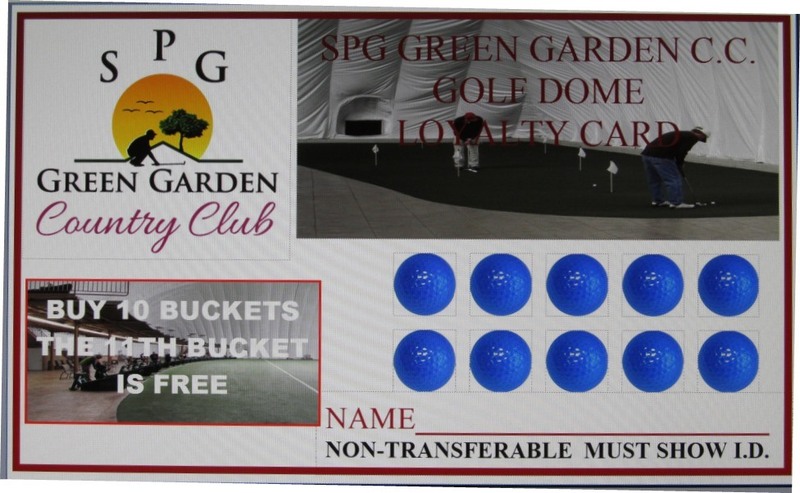 Please ask for a Golf Dome Loyalty Card at the front desk when you purchase your bucket of balls. Our staff will punch your card each time you purchase a medium or large bucket. Once you have purchased 10 buckets, the 11th bucket is FREE.